From rompers to foot peels. Whether you celebrate Labor Day in the States or Labour Day in Canada, this weekend is a long weekend. And hallelujah for that! As of EOD Friday, we’re shutting off all electronic devices, trading our work clothes for something *skimpier*, and settling onto a towel at the beach with an excellent book to celebrate the last holiday weekend of summer. 1. 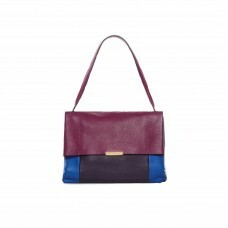 Ted Baker Proter Leather Shoulder Bag: I’m having a little bit of a staycation this Labor Day weekend and this bag would be perfect for my Sunday brunch date, which more than likely is going to end up with me bar hopping late into the night. 2. 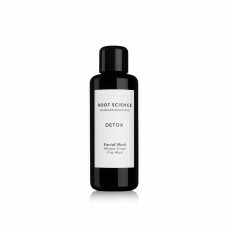 Root Science Detox Face Mask: In my eyes, long weekends are a time to pamper yourself (with the exception of my Sunday funday), and right now Friday night is looking pretty good for a girls night in with face masks and a few (or 10) bottles of wine. 3. Melissa Odabash Bali Triangle Bikini: Note to self: be extra careful when barbecuing in a bikini. 1. 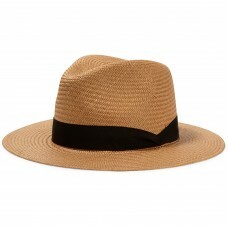 Rag & Bone Panama Hat: My Labor Day weekend is going to be spent partly in Greece and partly in the south of France. I’m not a huge hat person, but being in the sun, rather than at my desk, makes it necessary, and a good panama style is ideal. 2. Rosetta Getty Striped Romper: I imagine I’m going to be in a bathing suit the entire weekend, but when I do need to put on some clothing for, say, cocktails at the bar, this is what I’ll be wearing. 3. Vince Lynnis Leather Slides: How Greek-island-chic are these? That’s a thing, right? 1. J.Crew Skirt: LDW this year is a big effing deal. I’m not spending it in Rhode Island drinking too much wine on the beach till 7PM and playing bocce ball like usual because...my brother is getting married (!!) in Lake Como. So, really, I’ll be wearing a sick Reformation bridesmaid dress and toasting to a lifetime of happiness while I eat my bodyweight in proscuitto and spaghetti. But this white skirt is what I’ll be wearing after the wedding as I scoot around Italy. 2. 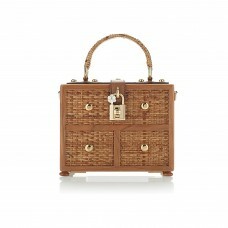 Dolce & Gabbana Bag: Part two of my frolicking around Italy uniform: this D&G wicker box bag. 3. 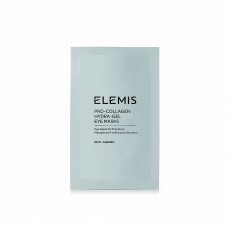 Elemis Eye Masks: For in-flight, post-flight, pre-wedding, and post-wedding hungover brunch the following day. Pro tip: don’t fly or get married without these in your life; they actually get rid of all under-eye puffiness and make you look super rested. 1. Topshop Bikini: I’ll be spending Labor Day in Chicago for my sister-in-law’s wedding (congrats, Lindsey!) and, as such, the only swimming I plan on doing will occur in a pool. Therefore, I can wear a silly bikini that would be inappropriate for the ocean. 1. Lisa Marie Fernandez bikini: Even though I know it’ll probably be hot and sunny for at least another month, Labor Day feels a bit like the last laugh when it comes to getting any sun. Which is why, when I’m in the Berkshires this weekend, I’m going to be wearing the smallest bathing suit possible (with piles of SPF, of course). 2. 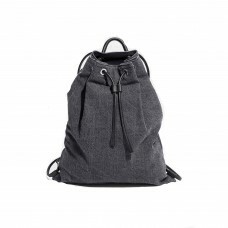 & Other Stories backpack: My thinking with a backpack is that you wedge in all the crap you think you need, and that’s about your limit for the weekend. Honestly, I don’t need much: a pair of jeans, a T-shirt, a bathing suit and a book, and I’m about set. 3. Pai Avocado & Jojoba Hydrating Day Cream: More and more, I think using all-natural, simple products is the kindest thing I can do for my skin. This weekend, I plan on taking a break from all makeup and harsh treatments and sticking to the basics: a good cleanser and this moisturizer. 1. Tibi leather slippers: Blah, blah, blah, white after Labor Day, something something. That’s pretty much the sentiment here. Right? 2. 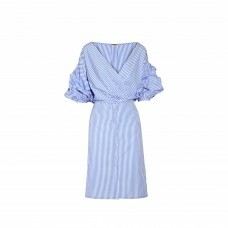 Johanna Ortiz dress: It’s become a running joke—and the subject of a potential intervention—that the only thing I want to wear, clothing-wise, usually involves blue and white stripes (or denim). To the point where I was recently packing and they were the only thing in my suitcase. This long weekend, you better believe I will be getting very day drunk in nothing but my favorite motif. 3. 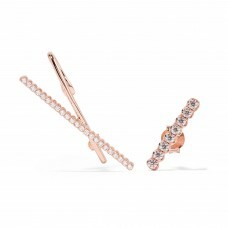 Ryan Storer earrings: Not exactly Labor Day-related, but I’m literally whipping my credit card out to buy these while I type. Just FYI.